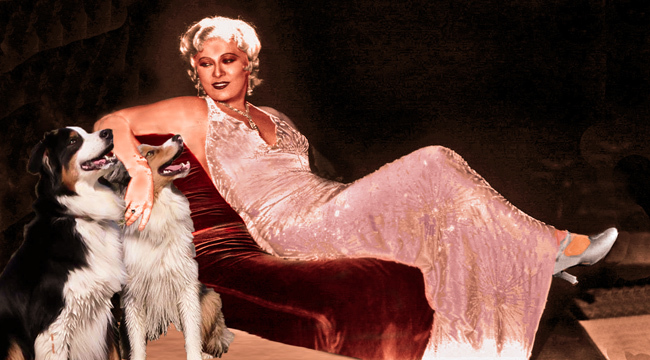 MAE WEST ON CROSSCURRENTS, 8/17 – Doggedly Yours… Howling, Humor, and History. MAE WEST ON CROSSCURRENTS, 8/17: Vaudeville Player, Writer, Broadway Performer, and Movie Star, delivering artful quips, Mae West was born on this date in 1893. Gavin and Wyatt have accepted Ms. West’s invitation to “come up sometime” and see her. You are invited to join John as he plays some favorite female musicians in tribute to Mae West on Crosscurrents, 8/17 at 8 a.m.